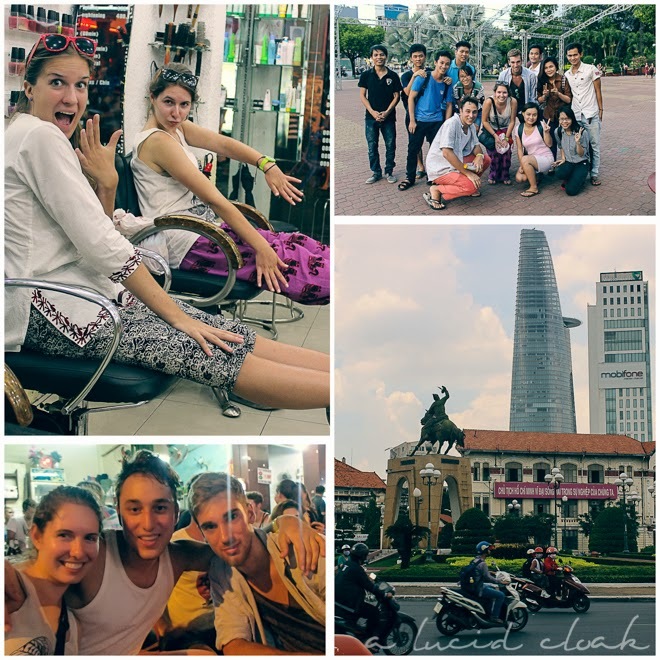 Dazzling, busy, chaotic, mysterious, the jewel of Vietnam — Saigon is all those things. Called by the much less romantic sounding name of Ho Chi Minh City nowadays, it still has the allure and energy that draw tourists to it. 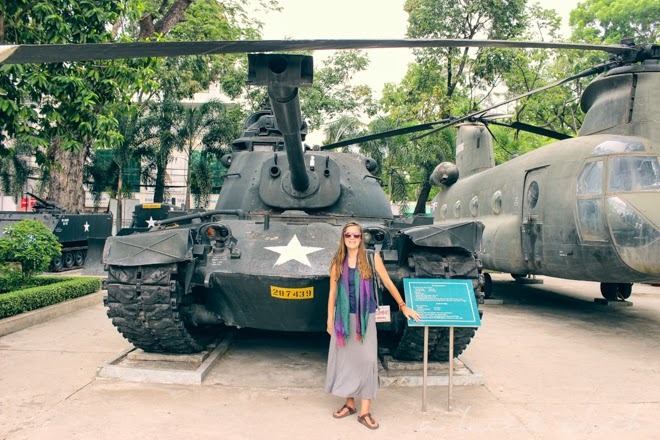 Vietnam, and especially Saigon, was a stark contrast to Cambodia. There were skyscrapers, metered taxis, and even street lights (sometimes). It was definitely more urbanized and more developed. On our first day, we went to get pho at a restaurant close by. It honestly doesn’t matter which of the street side cafes you choose to sidle into and eat at — everything is beyond delicious and fresh. 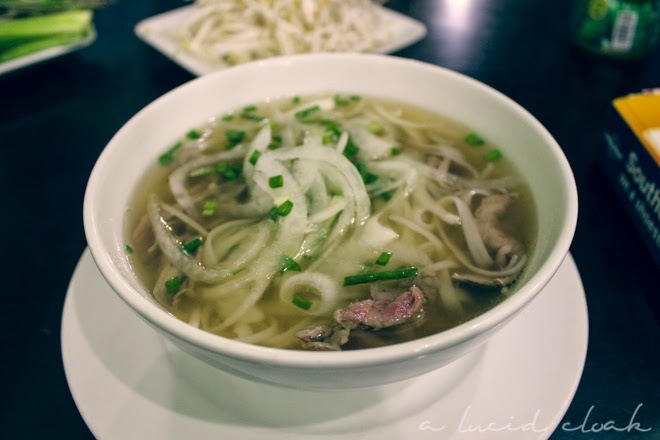 I’m not a big fan of pho in Canada, but in Vietnam, I craved it at every second. 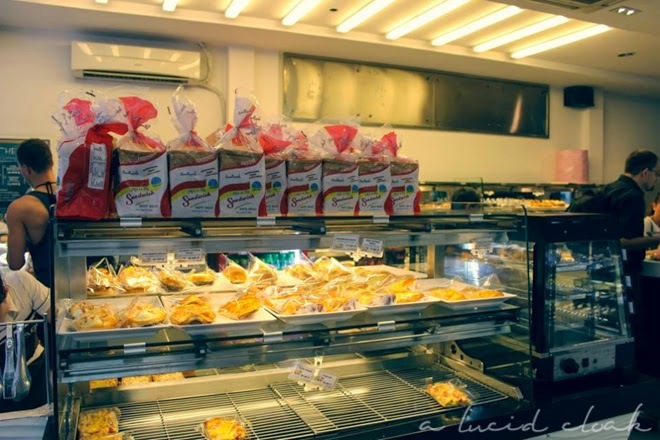 Saigon, being under French influence for so many years, has many bakeries and cafes. One of our favourites that we had a chance to venture into was ABC Bakery. They have a huge assortment of buns, sweets, breads, and cakes. And it’s air-conditioned. And it has wifi. Enough said. 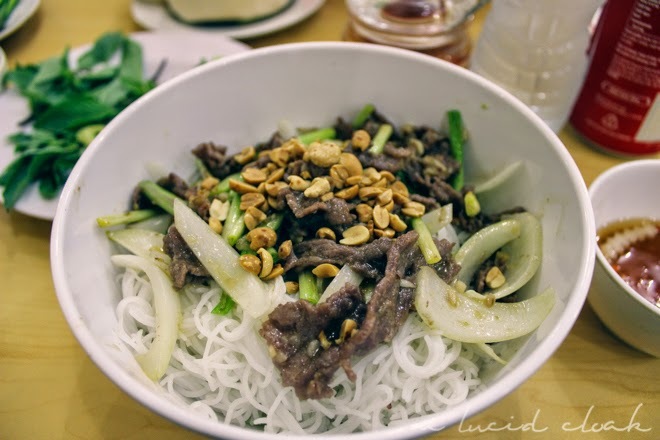 Ben Thanh Market is a popular place for locals and tourists alike to shop. A huge covered shopping mall, there are booths that offer everything from shoes to clothes to trinkets and souvenirs. It would have been quite an exciting experience wandering through the dizzying aisles had the vendors not been so aggressive, pulling us (literally!) into their booths and trying to get us to buy something. They were constantly calling out to us and following us, and I have to say, it was worse than in India because here they were touching you! If you want to go shop here, make sure you’re prepared to swat away and ignore the vendors. On our walk back to our hostel from the market, we walked through the main park, known as 23 September Park. 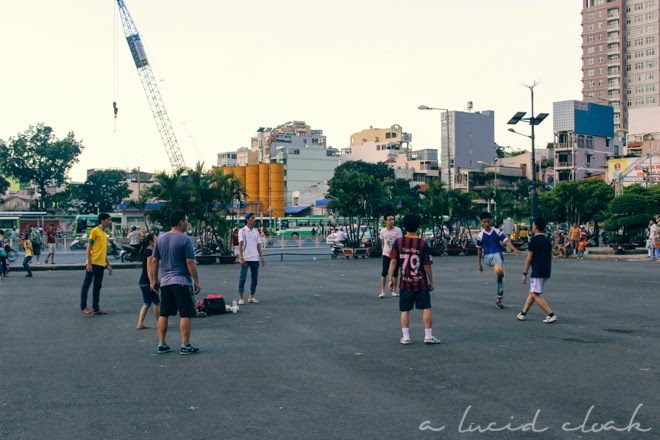 Some locals were dancing and exercising to a workout routine, others with playing a version of hacky-sack but with what looked like a badminton birdie, and others were exercising on various pieces of exercise equipment throughout the park. The four of us had a chance to talk to some University students who wanted to practice their English with us. This is totally the norm here in Vietnam! If you sit down alone for just a second, you will be bombarded by kind and friendly students who just want to chat with you. 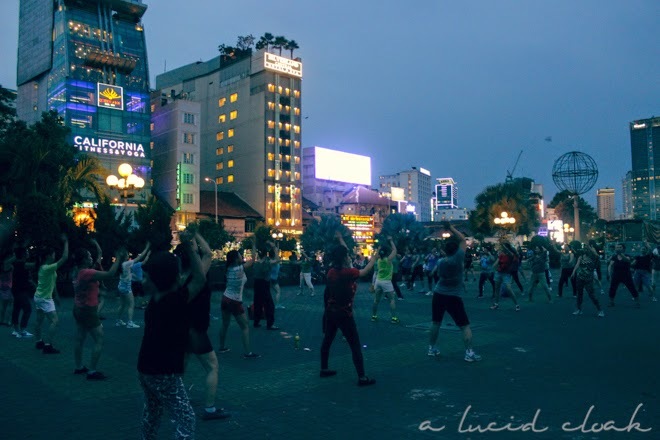 The nightlife in Saigon is incredible. We didn’t go dancing or clubbing per se, but the streets are alive with people, boisterousness, and 50 cent beers. Bars set up tiny plastic stools on the street, and everyone sits and drinks while motorbikes and cars whiz by centimetres away from you. 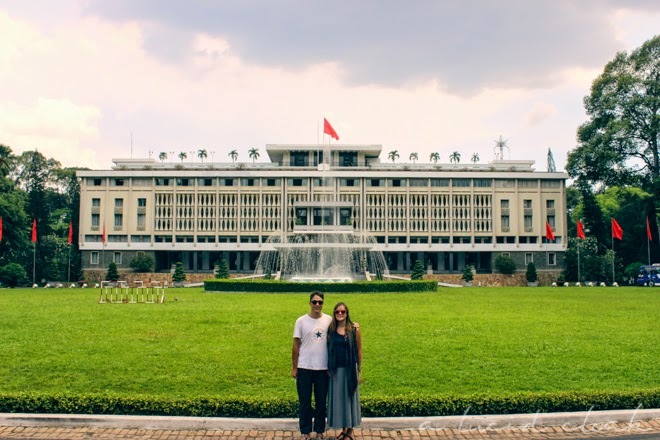 Our second day in Saigon was spent visiting some of the more popular tourist sites, like the Reunification Palace and the War Remnants Museum. 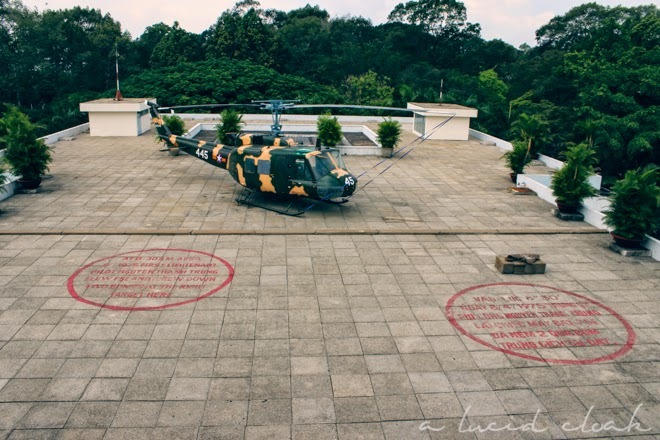 Both were eye-opening about the history of Vietnam and what its been through in terms of the war with the United States. 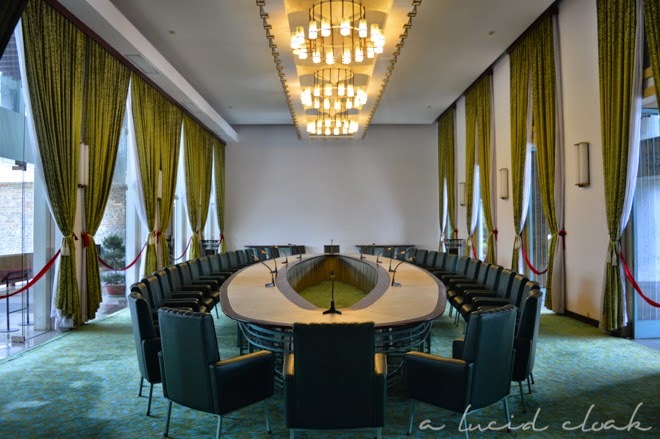 The Palace was a cool experience of what the 1970s must have been like, since everything inside is still in its original condition. The bunkers underneath the building were cool, if not also creepy, to walk through. If you’re planning on going to the War Remnants Museum, be prepared for an onslaught of horrific images. Although almost every exhibit was haunting with its photos of the war and descriptions of what happened, the Agent Orange exhibit was especially traumatizing. 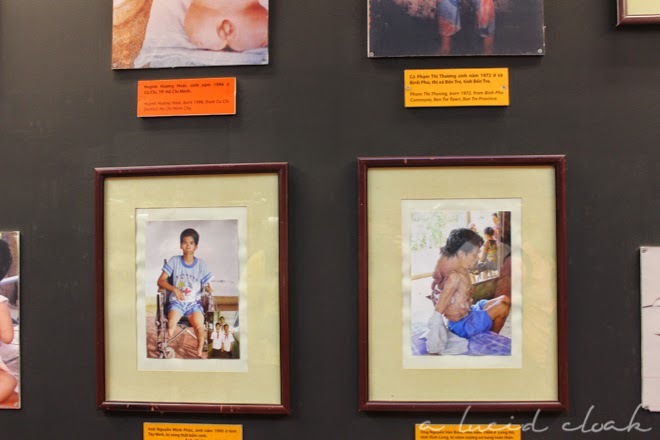 It displayed photos of many victims mutilated and damaged by the toxic gas America used in the war.